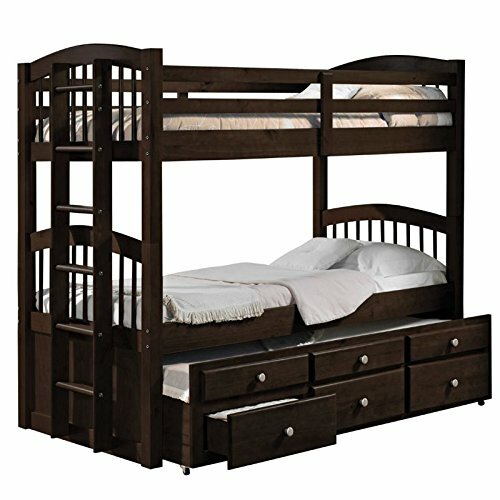 The Micah bunk bed is design to save space, this twin over twin bunk bed is a perfect solution for your children’s bedroom. The piece features a rich espresso finish and offers durability as well as a clean style. The full-length guard rails provide safety. Complemented by the trundle and drawers for unexpected guess and additional storage. If you have any questions about this product by Acme Furniture, contact us by completing and submitting the form below. If you are looking for a specif part number, please include it with your message.